Sinusitis is diagnosed and managed based on clinical grounds and imaging is not indicated for initial diagnosis of uncomplicated sinusitis. CT remains the primary imaging study of choice for patients with acute and chronic sinusitis. CT is indicated when patients do not respond to medical management as patients may have a structural abnormality or obstructive lesion. Imaging is also indicated in patients who are suspected of having sinusitis related to orbital and intracranial complications, to immunocompromised state, or for pre-operative surgical planning. Dr. Anzai would like to acknowledge the work of Dr. Angelisa Paladin, coauthor in a previous chapter on Diagnosis and Management of Acute and Chronic Sinusitis in Children in Medina LS, et al., eds: Evidence-Based Imaging in Pediatrics: Improving the Quality of Imaging in Patient Care, published by Springer Science in 2010. 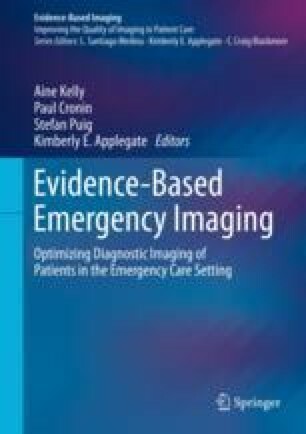 That chapter was drawn upon for this new chapter, in the process of presenting thoroughly updated and significantly revised coverage of this subject for emergency imaging.